What’s better than some good buddies to share your hobby with? I can’t think of much. Case in point, the morning I spent with a few friends at a garage today. Said garage is a place in Düsseldorf called ‘Rostnest’ – the German word for a big spot of rust. It’s a place where like minded people can come by and rent a lift and tools by the hour, catering to all those poor souls who don’t have a garage or shop to call their own. 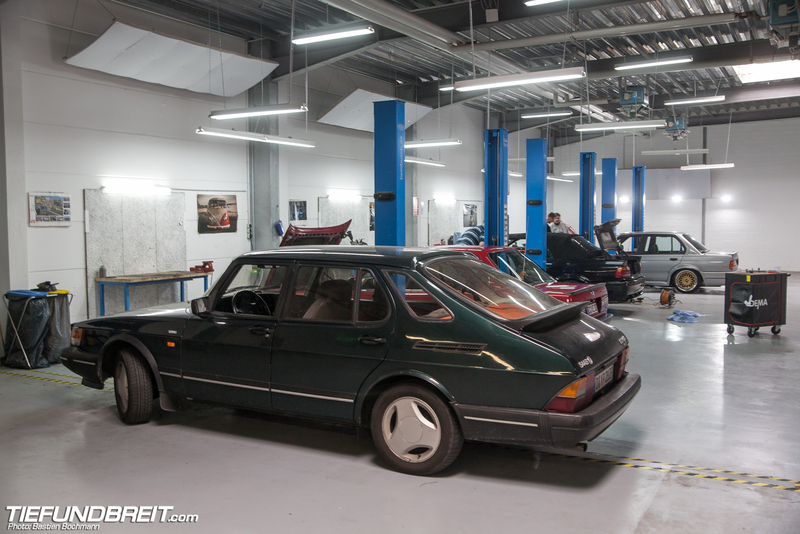 The place is run by Paul (who drives the Saab in some of the pictures) who’s always there to lend a helping hand. 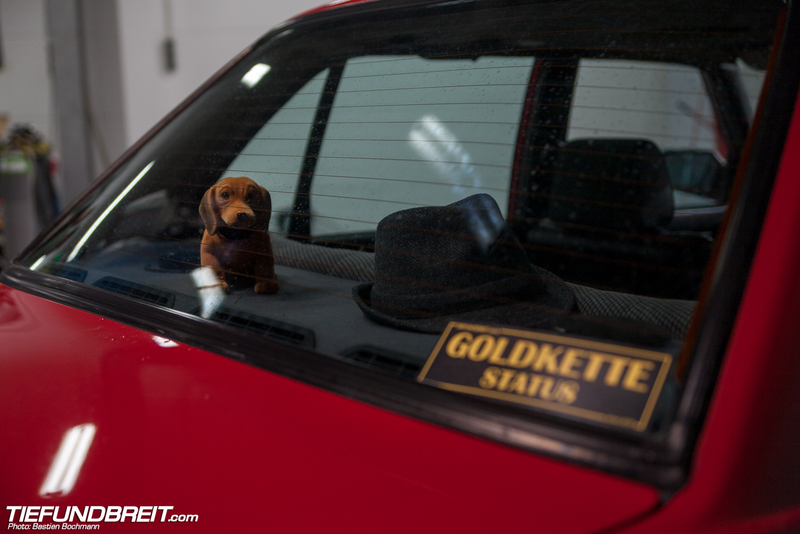 His right hand man is Tobi – the owner of the red E30. I’ve known Tobi for a while and ever since he’s introduced us to Paul and the Rostnest garage, it’s kind of become a occasional hang-out for some of the Tief & Breit family. 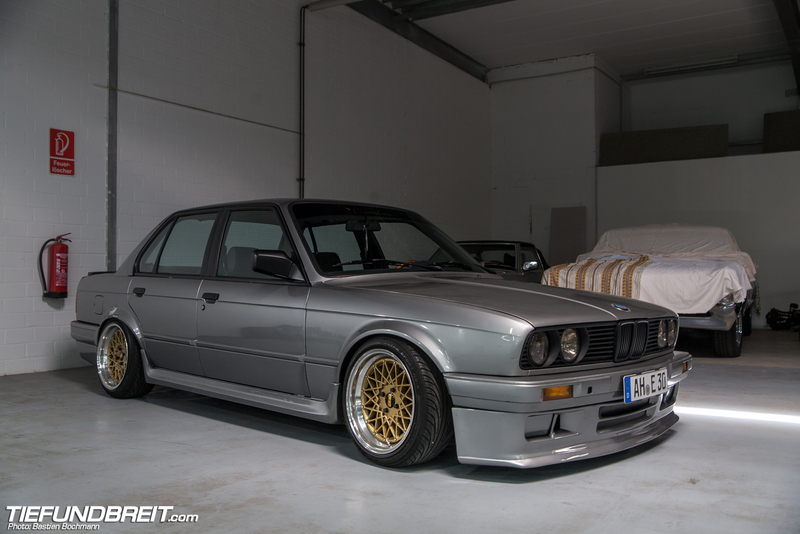 Just like today – our friend Kim needed some work done to his grey E30 and so he swung around. 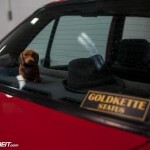 I dropped by in my daily Audi A8 which you might remember from an earlier blog post. It’s now sitting on some 20-inch Startech wheels – the tires of which were actually mounted at Rostnest just a few days ago. 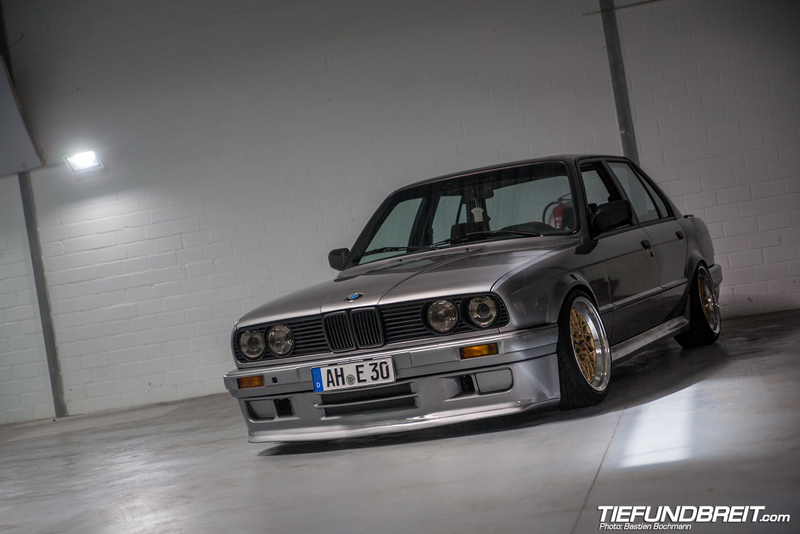 So while Kim and Tobi got around to working on Kim’s E30, I thought to snap some pics while I was there. 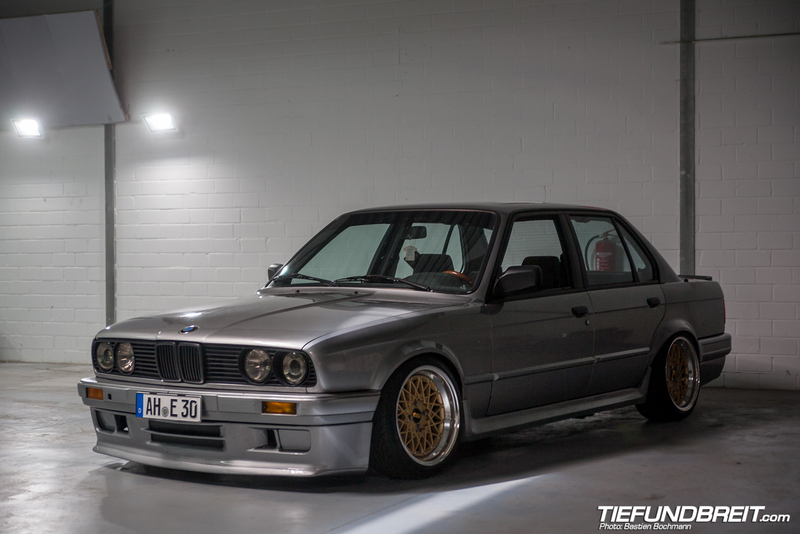 Here’s Tobi’s E30 looking pretty with the bags all aired out over his 17-inch wheels. 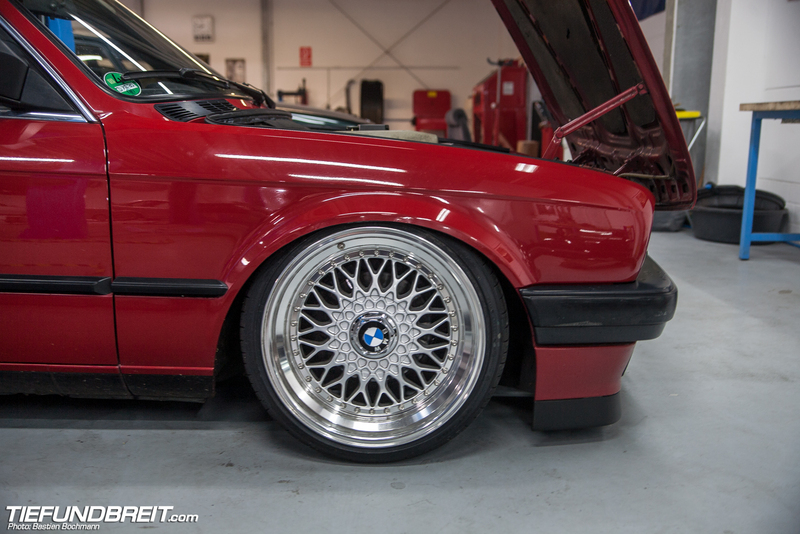 Kim’s E30 meanwhile is sitting static over some unkown 16-inch split wheels he found on ebay a quite while ago. 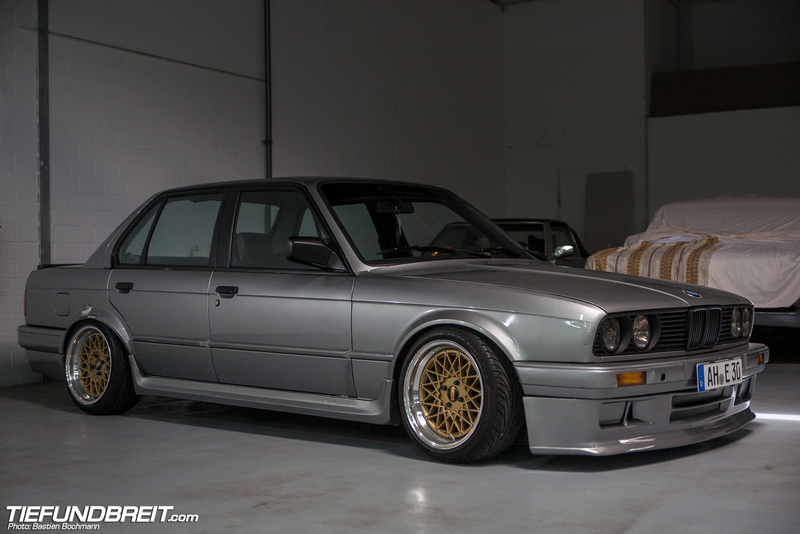 Kim’s E30 needed a timing belt change which Tobi quickly sorted out. 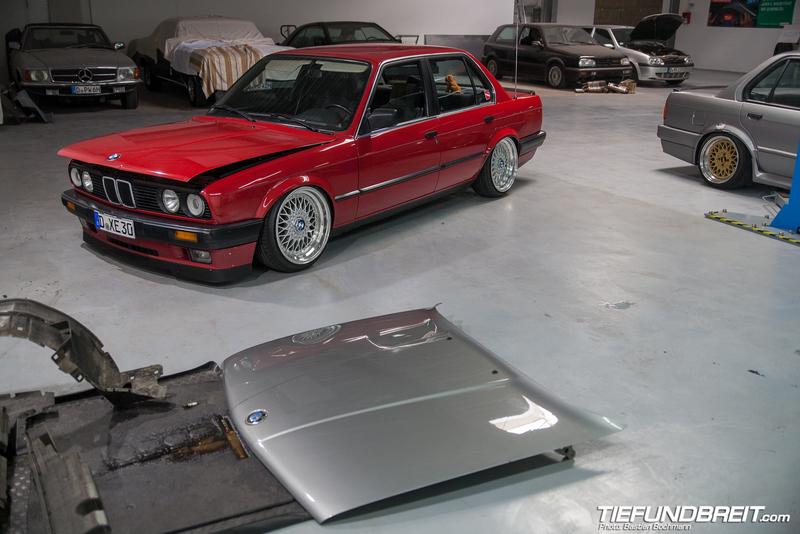 In the middle bay, there was a father and son team working on restoring a pretty rusty E36 to it’s former glory. And now, enjoy the rest of the pics… and feel free to stop by the Rostnest if you’re near Düsseldorf and need some place to wrench!